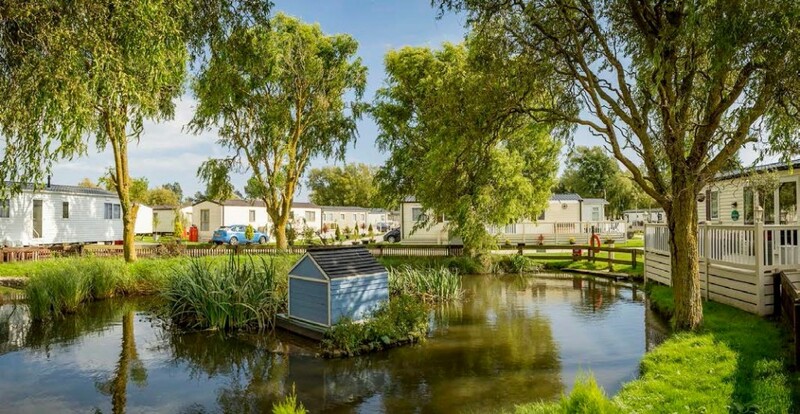 Holiday home owners and staff at a popular Kent holiday park are celebrating after the curtains went up on a £4 million makeover which took place over winter. It means that New Beach Holiday Park near Dymchurch is now ready for the 2018 season with facilities described as ‘wholly unrivalled’ in South East England. Park Holidays UK, which owns New Beach, said the on-time completion of such a major project was a fantastic team effort for which everyone deserved credit. In just a few months, the park’s former clubhouse has been demolished and replaced with a modern new complex, fully equipped with the latest showbiz technology. The high-tech lighting and sound systems will allow New Beach to stage West End standard live shows as part of the free entertainment provided to guests. Park Holidays UK has also equipped the complex’s arcade area with world-class video and electronic gaming systems suitable for all ages and levels of skill. There’s also a complex bar with supersize TV screens, a restaurant serving meals throughout the day and evening, a mini-supermarket, and a sales administration centre. Also just opened is a new development of leisure homes to buy, ranging from starter caravan holiday homes at around £15,995.00 to fully specified extra-wide luxury lodges. According to Park Holidays UK director Tony Clish, the decision to invest substantially in New Beach is a reflection of the confidence the company has in the park’s future: “New Beach has long been one of the most popular of our 28 parks, and we are determined to ensure it continues offering guests the best possible experience,” he said. “The park is open for 50 weeks of the year for leisure homeowners, so there’s always a great holiday atmosphere and plenty of indoor activities such as a swimming pool. “Park Holidays UK is especially well known for the quality of our free entertainment, and we spend literally millions each year securing first-class acts.